Are you interested in learning English in Madrid but not sure where to start? Do you need to start from zero? Are you completely new to the English language? Here at The Language Corner, we will be starting our new mini-course for complete beginners and with native English teachers, which gives a complete introduction to the English language in the mornings and evenings during weekdays. Upon completion of this new mini-course, you will also be offered the chance to continue with our full ‘English for beginners’ course at a discounted rate in La Elipa or Ventas in Madrid. If you are interested in the free mini-course in Madrid, or any other of our courses, feel free to contact us or to drop in to either one of our English academies in Madrid for more information. This entry was posted in Uncategorized on April 17, 2019 by Merlin. As English has a lot more sounds than Spanish does, especially vowel sounds and combinations of vowel sounds, pronunciation in English does seem to be significantly more difficult than in Spanish, or at least there are more new sounds to learn. There are also many sounds in English, such as θ and ð which have very subtle differences and to the unaccustomed ear can sound identical, but for native speakers, the difference in these two sounds can change the meaning of the word itself. In addition to this, the pronunciation of words in English can vary greatly between regions and countries. A simple word like ‘bus’ in most regions is pronounced /bʌs/, but in the North of England and in the Midlands, it tends to be pronounced roughly as /bʊs/. Though in Spanish this also happens to some extent. Yo hablo, tu hablas, ella habla… In English, we rarely conjugate. In fact, most verbs will only have a maximum of 5 variations (e.g. speak, spoke, spoken, speaks, speaking). We also use auxiliaries to indicate tense (have spoken, will speak) and to indicate negativity (don’t speak, didn’t speak). Because of this use of auxiliaries, there is more simplicity in English grammar and much less to memorise. We do, however, have to use the personal pronouns (I, you, we, they, etc), which are often omitted in Spanish as the conjugation already indicates the subject of the sentence. We also have no grammatical gender of nouns in English, with a few exceptions for job titles. 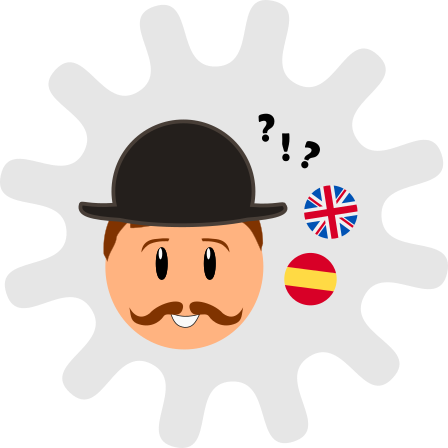 To Spanish speakers, grammatical genders may not present much difficulty at all, but for an English-speaker, having to modify articles and adjectives based on grammatical gender can be quite a challenge at first. English is by no means written phonetically. In this sense, writing in Spanish is far easier than writing in English, and because of this if you know the rules on spelling and pronunciation you can look at any new word as it is written in Spanish and know exactly how it is pronounced, and vice-versa. In English, however, this is not the case; words such as rough, through, though and Slough highlight this point perfectly. Even as a native speaker of English myself, I will still occasionally come across a new word and not know how it is pronounced. In conclusion, there are some points which are more difficult in English, and some which are more difficult in Spanish, There are also some points which are easier to learn in English, and others which are easier to learn in Spanish, and much of this also depends on the individual who is learning, and learning a new language is rarely ‘easy’ for anyone! If you would like more information or help with learning English in Madrid, feel free to visit one of our academies in La Elipa and La Almudena, near Ventas, Madrid, where you can speak with our native English teachers, who are always happy to help. This entry was posted in Uncategorized on March 28, 2019 by Merlin. 30 years ago Tim Berners-Lee wrote his first proposal for what would be the World Wide Web. His idea was an open initiative that would give everybody access to a universe of information. For this reason, here at The Language Corner, we would like to celebrate the birth of the World Wide Web by listing 3 if the many ways you can learn a language for free using the internet. As with any new skill, learning a language requires practice – lots and lots of practice! The best way to do this is to try to dedicate as much time as possible to this new activity, but also remember that consistency is more important than perfection. Having someone who can help you learn a language is always a good idea, and our native teachers at The Language Corner in Gandhi and La Elipa in Madrid would be delighted to help guide you through this learning process and answer any questions that you may have. However, if you are looking to boost your learning, or even start learning a new language from scratch, there are so many resources readily available at your fingertips online which you don’t even have to look hard for! Yes, organisation is very important. It is also very important to have clear and specific goals and targets to aim for, as well as setting reminders for yourself and having specific time-slots to dedicate to learning a new language. Services such as Google Calendar or Outlook can be extremely useful tools which can be used to schedule the time you want to use during the week to learn a new language and to set reminders for yourself. These reminders can be daily, weekly, or even monthly. It is one thing to say ‘I am going to learn Italian‘ and another to actually follow it through. If you write down your objectives and have more specific goals in mind (e.g. ‘by the end of this year I will be reading Umberto Eco in Italian’, ‘I will have watched 20 Italian films’ or ‘I will have successfully given my presentation in English this time next year‘) you will be far more likely to conquer those goals and reach your targets. 2. Have fun while studying. With so many resources readily available online, it should be no problem whatsoever finding the right material to learn a new language. Duolingo is an excellent example of this, as well as other sites such as this one which offers 48 different languages. The most important thing is to find a way that you like and would actually enjoy dedicating some of your time to. It is extremely important to try to increase your exposure to the language that you are trying to learn as much as possible. On sites such as Youtube, you can find many different types of videos in different languages, as well as music to listen to in other languages, which is always an excellent way to help learn another language. On Internet Archive you can also find a large number of films to watch in other languages. Podcasts are also a great way to learn languages, as they allow you to listen to your other language while you are carrying out different activities during your daily routine. Here you can find some of the best podcasts to learn another language. As well as podcasts, twitter can also be a useful way to keep yourself up-to-date or simply to give you access to conversations in other languages. For example, on @TheLangCorner, you’ll see Phrasal Verbs and Idioms of the week, as well as all the news of our activities and events. You can also see all of this on our Facebook page! This entry was posted in Uncategorized on March 21, 2019 by Merlin. Do you need to improve your English for work? Are you looking to improve your interviewing or presentation skills in English? Here at The Language Corner we are currently offering the chance to enroll in our 24-session Business English course with our well-prepared native English teachers, covering topics such as presentation skills, business writing, telecommunication, holding negotiations and other general business English topics. 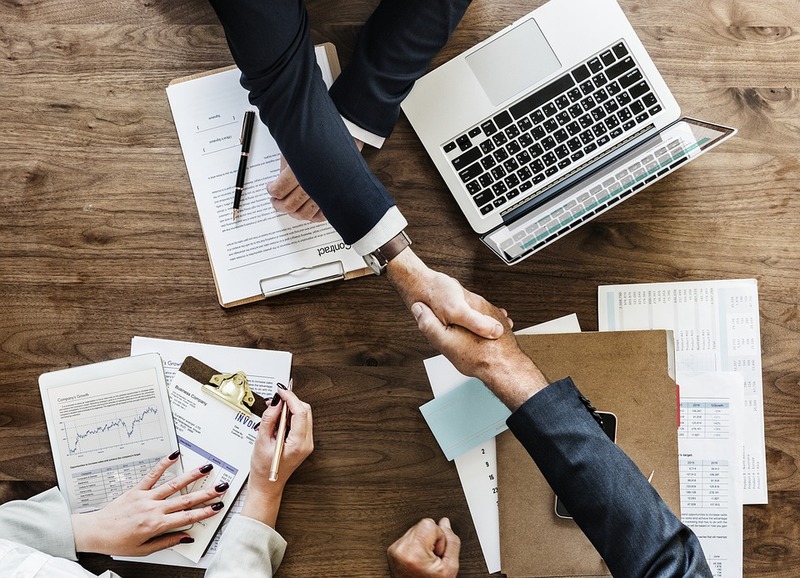 The Business English lessons will be held every Monday and Wednesday at our La Elipa branch of The Language Corner from 19:30 to 20:30 and will run from April to June (24 sessions), and will be open to a maximum of 10 students. If you are interested in our Business English course, or need to improve you English for work in Madrid, feel free to contact us for more information. This entry was posted in Uncategorized on February 28, 2019 by Merlin. Do you already speak English? Are you interested in putting your skills into practise, or perhaps brushing up on those skills, in a more social context than structured classes? This entry was posted in Uncategorized on February 21, 2019 by Merlin. 2. Italian is the official language of classical music. Italian is not just a musical language, it is the language of music. If you’re a fan of classical music then you may be familiar with such terms as ‘crescendo’ (a steady increase in volume), or ‘staccato’ (which indicates that a note is separated from the others). This is because musical notation was invented during The Renaissance (or in Italian Il Rinascimento), the historial period in which Italy as a country began. 3. The oldest known text written in Italian is over 1000 years old. The ‘Placiti Cassinesi’ are four juridical documents written between the years 960 y 960 AD. They are thought to be the first texts written in Italian and they talk about a disputed territory between three Benedictine monasteries and a local landlord. So, would you like to learn Italian, the language of Leonardo Da Vinci, Galileo and so many others with our native Italian teachers? If so, feel free to drop in to one of our language academies in Madrid (academies in San Blas, near Ventas and Ciudad Lineal) for more information on our language courses. 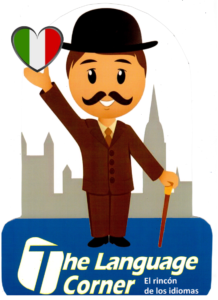 And if Italian is not for you, remember we also teach English classes, as well as Spanish, German, Portuguese and French. This entry was posted in Uncategorized on February 7, 2019 by Merlin. After a much-needed and well-deserved break we are finally back in school/work and everybody has been talking about their New Year’s resolutions. If you haven’t made any by now, why not consider new language? 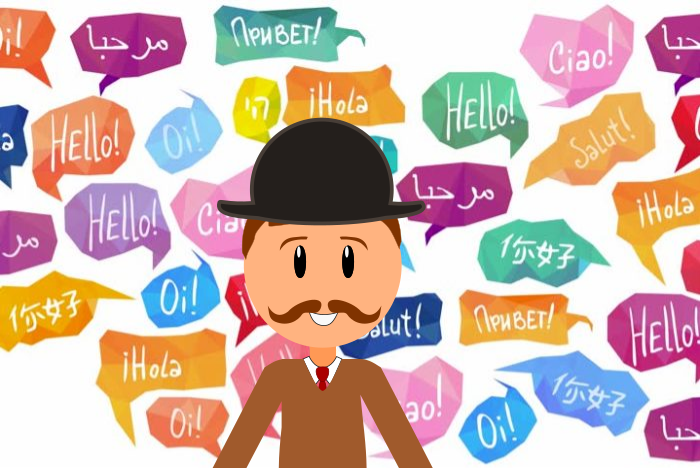 Learning a new language immensely increases opportunities in life, such as job opportunities, opportunities to meet new people, and also enriches the experience of travelling abroad and being able to communicate and immerse yourself in another culture. 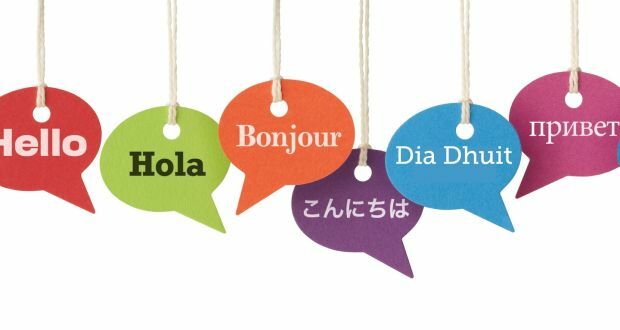 Studies have shown that bilingual people are better at learning new skills, flexible thinking, understanding new concepts and even have a reduced risk of dementia in later life! In addition, learning a tonal language, such as Mandarin or Vietnamese, is also a great way to help develop both sides of the brain and not just the left. As well as conventional experience and academic qualifications, learning a language is also an effective way of bringing a competitive advantage to the work place, as bilingual people tend to be more flexible in their way of thinking and adapt to new situations more quickly, and a second language can always be put to some good use in today’s globalised market, making bilingual people more appealing to potential employers. 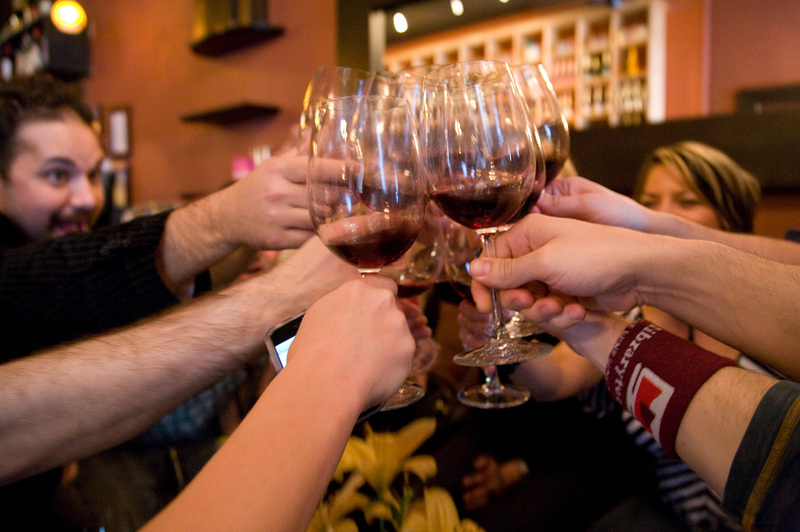 Have you ever wondered why people of different nationalities tend to have different customs and preferences? 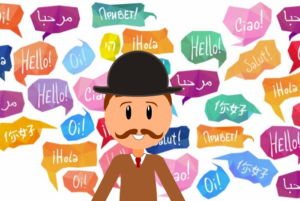 As well as learning about the history of those countries, leaning to speak their language can gives great insight into their way of thinking and their perception of the world. If none of those reasons have convinced you so far, it has also been shown in various studies that a sense of accomplishment can dramatically increase one’s level of self-esteem. If you want to give yourself a boost in overall confidence this year, learning a new language could be the perfect way to do it! If you are interested in learning a new language, or would like to improve your English, prepare for the FCE or CAE exams, feel free to contact us or come and see us in person in Madrid, where any one of our native teachers can give you more information about courses in the García Noblejas or Ventas areas. This entry was posted in Uncategorized on January 15, 2019 by Merlin. 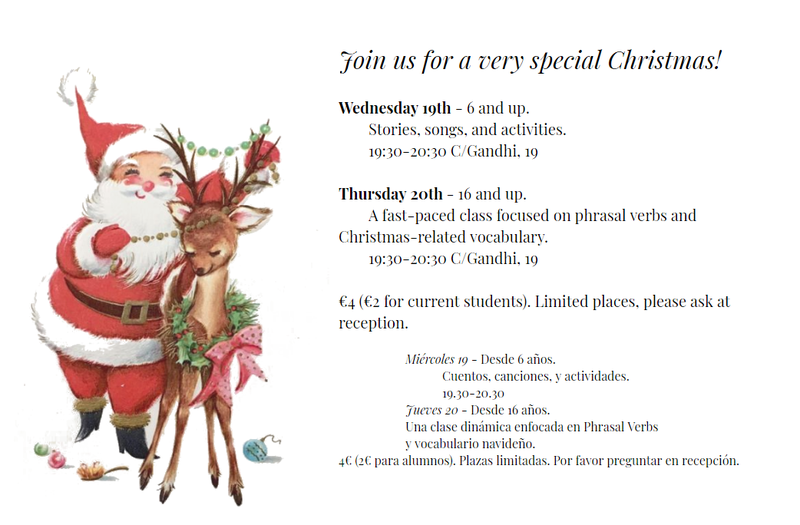 Christmas carols, games and stories in English! 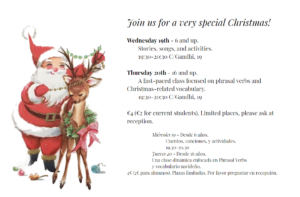 This week at The Language Corner – Christmas carols, games and stories in English. We hope to see you there! This entry was posted in Uncategorized on December 18, 2018 by Merlin. 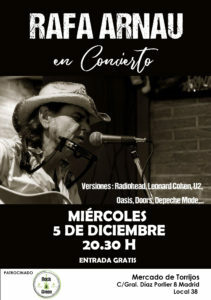 Come along to Marcado de Torrijos in Goya, Madrid this Wednesday and listen to music sung LIVE in ENGLISH by Rafa Arnau! This is great way not only to practise your English listening skills but also to meet other people who are interesting in practising and improving their English in Madrid – we hope to se you there! This entry was posted in Uncategorized on December 4, 2018 by Merlin. Compared to Spanish and many other languages, English grammar and vocabulary are both fairly easy to learn, as words tend to be shorter and there are much fewer conjugations to learn mainly because we use auxiliaries instead, although it’s true we have lots of exceptions to almost every rule in English, which can at times make things slightly more complicated. While it is possible to learn vocabulary and grammar from books, apps and other online sources, that cannot usually help much with pronunciation, which bring us to a question that we commonly hear at our academies in La Elipa and García Noblejas: is it possible to learn perfect pronunciation in another language? While doing the housework, driving, or in the shower, listen to podcasts or radio programmes. Even if you don’t understand everything, you’ll still be picking up the rhythms and intonations, and you may hear a certain word pronounced differently to the way you have been pronouncing that particular word. As you listen, try repeating what you hear with the same rhythm and intonation as the speaker. One good feature of youtube and other similar websites is that you can reduce the play speed, and as you listen you can watch what people’s mouths are doing. This may sound like a strange thing to do but it is especially good for learning to pronounce sounds that may not exist in your native language, such as the V and R sounds in the case of Spanish speakers, and watching the different movements of people’s mouths as they speak. While all of these methods are effective, unless you have a native English teacher, or teacher of whichever language you’re learning, there to guide you, you can never really tell how well you are progressing with your pronunciation and other aspects of the language. A native English teacher with a high level of experience will be able to immediately pick up on very subtle mistakes and will no-doubt have many techniques to help you improve your pronunciation and to sound more natural when you speak. This was just a short list of techniques tries and tested by us at the lanaguage corner. If you would like to know more about improving your pronunciation or general level of English, feel free to pop into one of our academies in Madrid (La Elipa near Ventas and Gandhi in García Noblejas) and ask about trying some classes with us. This entry was posted in Uncategorized on November 27, 2018 by Merlin.